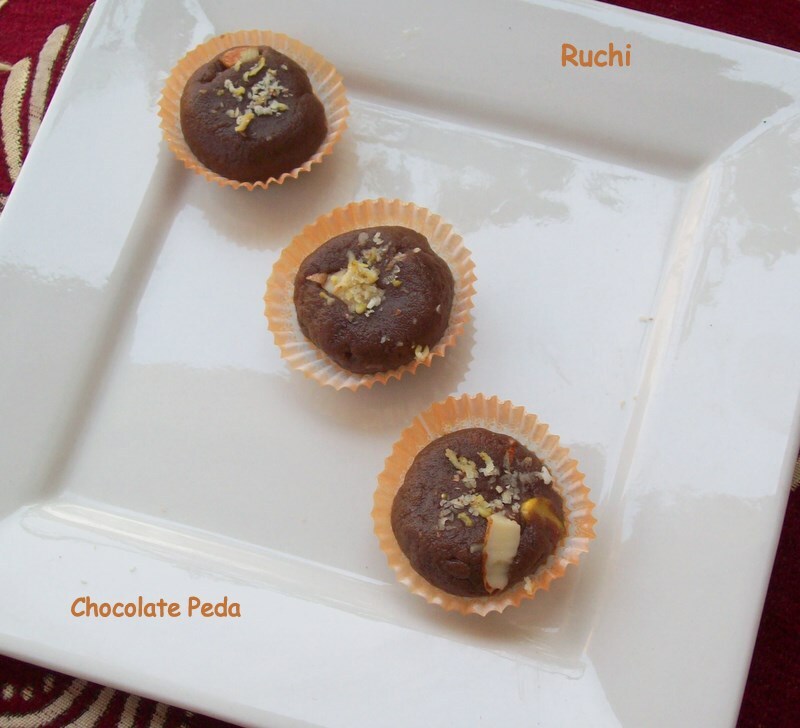 Pedas are soft and It has a smooth and silky texture and it just melts in the mouth. pedas are an all time favorite .For diwali I tried Chocolate peda& Malai Peda. 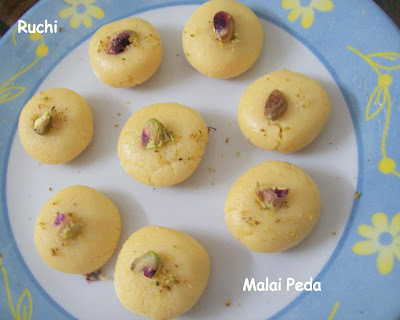 Malai Peda I adapted from here. 1. In a microwave safe dish, melt the butter. 2. Add in the rest of the ingredients and mix well. 3. Cook in the microwave for 3 minutes, stirring very well after every minute. 4. After the 3 minutes, mix well again and leave aside for the mixture to cool down enough to handle. 5. Once the mixture has cooled down, grease your hands and make balls. 6. Gently press the balls and flatten them to shape…round and flat. 7. 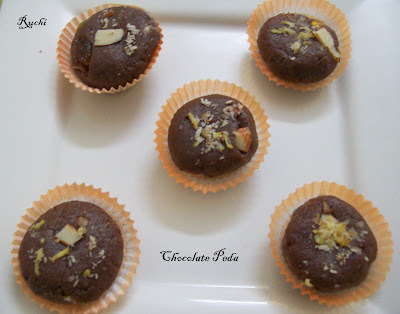 Decorate them with colored sugar, almonds, cashews, pistachios or raisins. Mix all ingredients. All the ingredients should be mixed and cooked in a heavy pan. Cook till thick and dry - it sets very fast, Remove & cool. Roll into balls and garnish. Both looks damn cute and addictive..